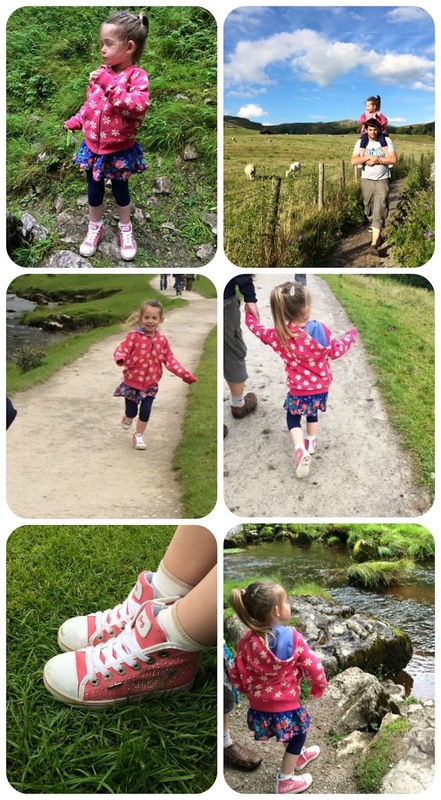 Earlier this year we were chosen to be one of the GORE-TEX Big Days 2015 families and both Ben and Elizabeth were sent some lovely new shoes to wear for their summer adventures! 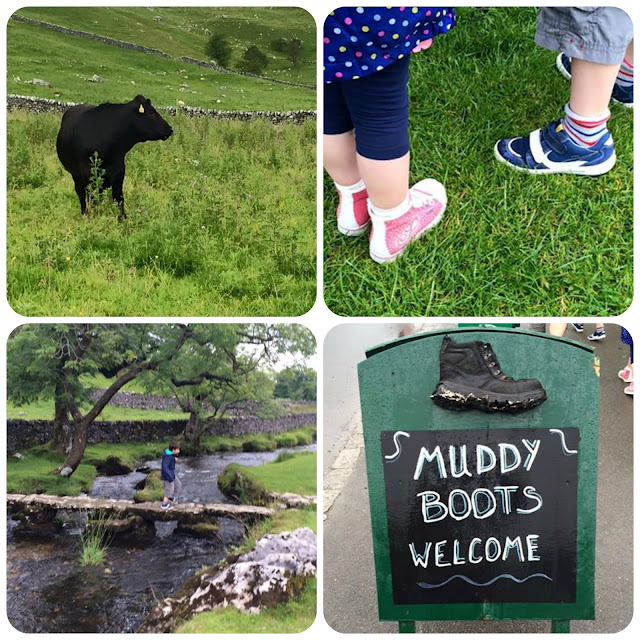 We've enjoyed so many adventures this summer it was difficult to choose which one to share with you, I settled on our trip to Malham though as we had so much fun in the great outdoors and the children really put their GORE-TEX shoes through their paces. 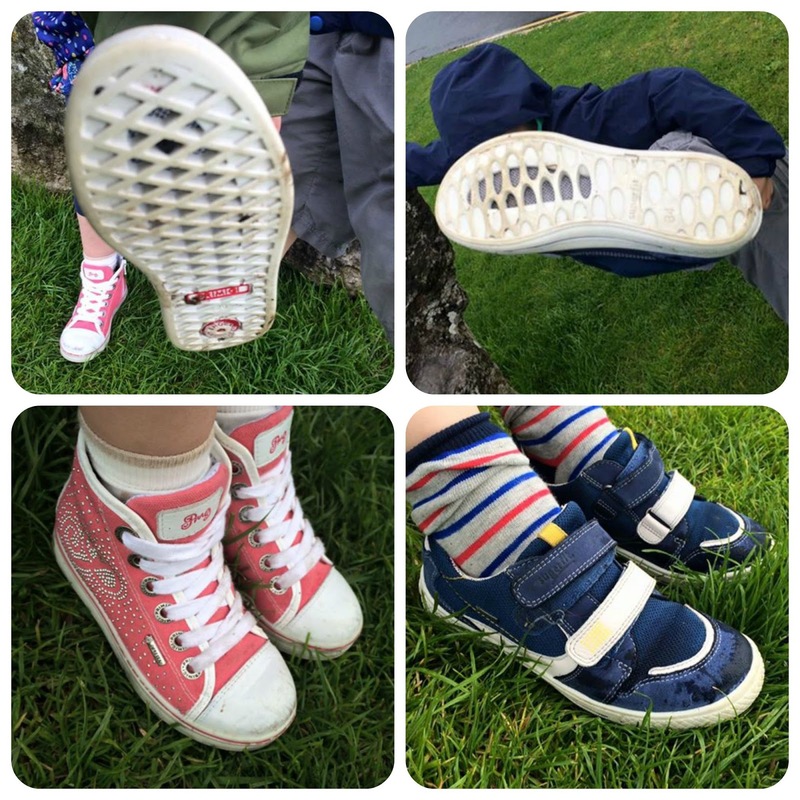 I believe that good quality footwear is really important for my children, both for their comfort during a day out and for the future health of their feet. 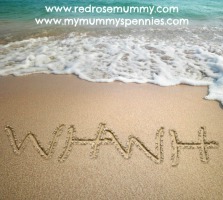 If we go on a long walk I don't want them to come home with blisters or sore feet. 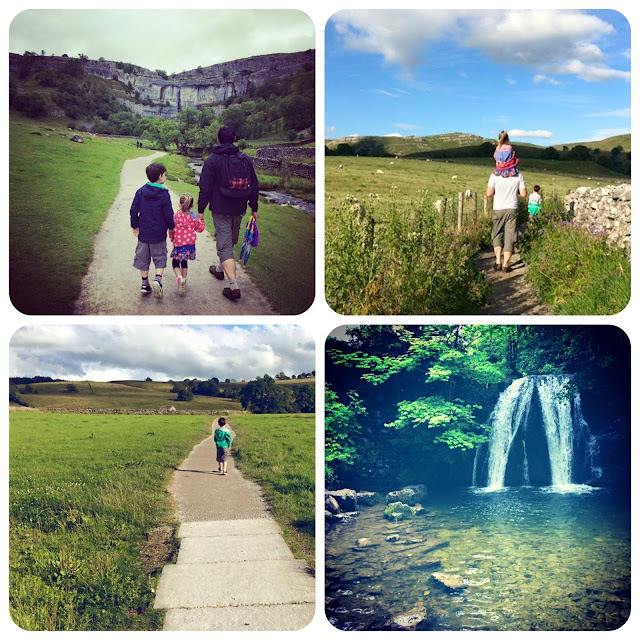 We walked to Malham Cove and down to Gordale Scar, through fields and puddles, streams and garlic scented woodland and in one day experience both strong sunshine and pouring rain! It was the perfect day to test out some new footwear. Both our children love exploring nature and their GORE-TEX shoes were sturdy and supportive, protecting their feet and allowing them to continue their adventures even longer. Ben wore funky demin blue Superfit trainers from GORE-TEX, they are smart to look at, have strong velcro fastenings and have been made using SURROUND technology so they are both breathable and offer durable waterproof protection. 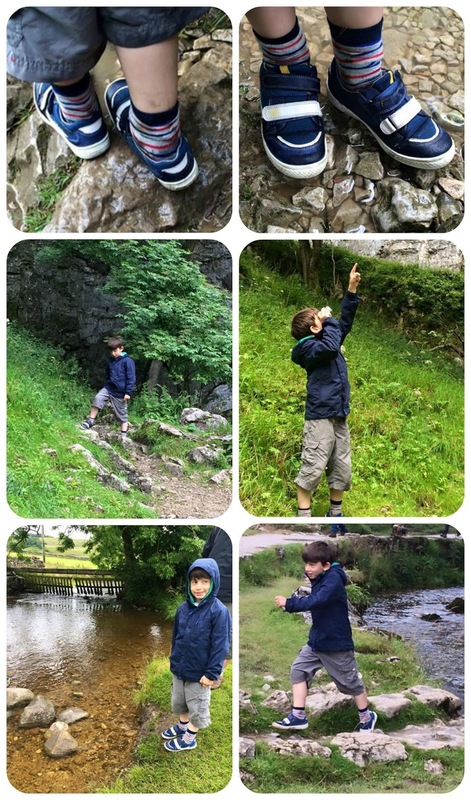 The large openings in the sole construction meant that stones and pebbles wouldn't dig in to his feet when walking along or climbing so they are ideal for active kids. Ben really likes the look of these and finds them really comfortable, even after a full day of adventure. The aren't just for outdoors either, they look just as good dressed up with jeans and a shirt as they do with combats and covered in mud! Elizabeth wore the Primigi 3608000 SURROUND™ in pink. These stylish canvas style hi-tops have silver studs forming the logo on the outside, an inner zip and while laces at the front. 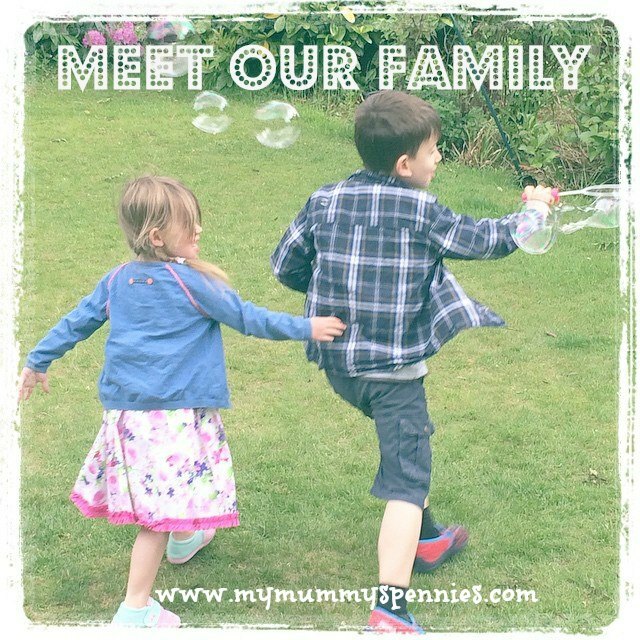 These also offer breathable technology and weatherproof protection with open weave soles to catch stones and pebbles, however the fabric of these isn't as thick as the superfit version and after splashing in a fair few muddy puddles we found they weren't quite as waterproof either. They are sturdy and hardwearing through and seem to support Elizabeth's feet and ankles well even when climbing up rocks and trees. My four year old daughter loves that they are pink and sparkly and will choose these to go with almost any outfit, however we do have one issue with them and that is with getting them on and off. The fit is great and when her feet are in the shoes they are comfortable and supportive but they are really difficult to get on and off and Elizabeth almost always needs help with this. Despite having the zip down the inside of each shoe, the laces, (which I thought at first were just for show) need to be loosened significantly to get the shoe on, this is not ideal for a four year old who has not yet mastered the art of knots and bows. Overall, I'm really impressed with both of the children's GORE-TEX shoes, they are breathable and lightweight and despite climbing up rocks and waterfalls and walking miles around the Yorkshire Dales, neither child had any rubbing or discomfort. I look forward to sharing our next adventures with you soon. Disclaimer: As a Gore-tex Big Days 2015 family, both children received shoes from the summer range, all views and opinions are our own.